When I say fireplace season you probably think I’m talking about the one inside your home, but what about a fireplace outdoors? Imagine a fireplace set at the edge of your patio creating a focal point in your backyard where you and your family can hangout on evenings, roasting marshmallows, and just being outdoors! Outdoor fireplaces are becoming more and more popular just like outdoor living, having an outdoor kitchen, etc... Not only is the fireplace a beautiful and functional element, it will also help to increase property value. 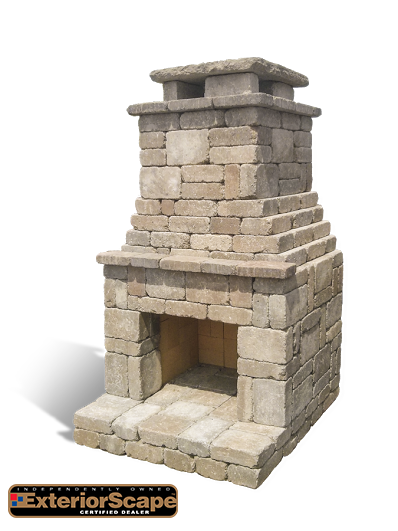 Visit one of our certified Exteriorscape dealers today and come see our ‘Fremont Fireplace’ kit!